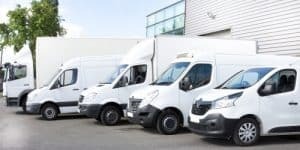 New data from the Society of Motor Manufacturers and Traders (SMMT) has highlighted a doubling of commercial vehicle (CV) output in January. UK CV manufacturing rose by 49.1 per cent in comparison to January 2018. The sector delivered a total of 9,182 units during the month. Overall, demand from UK buyers increased by an impressive 97.1 per cent in the year-on-year figures. At the same time, export numbers rose by 25.3 per cent. He added that exports continue to make up more than half of all UK CV production, the majority of which are shipped to Europe. As a result, the SMMT chief highlighted the importance of securing a deal with the EU regarding Brexit to ensure continued “free and frictionless trade”.